Found in "Sharpe's Triumph" by Bernard Cornwell. Published by HarperPerennial, 2000. I'll even throw in the bookworm. Comment to enter. Winner picked at random at 5:00 PM EST today. Sweet. The bookmark is cool too. I love Cornwell. Toss my name in. Aw, I love his mortarboard. You have the coolest job. Books and random surprise treasures. On, awesome. I just read my first Sharpe book a few months ago and loved it. Oooooh - Count me in! Haven't read them, but the covers look interesting. I mostly want the bookmark! I've never gotten around to tasting Sharpe books, so I'll throw my name in the hopper. How amazing! I heard of Bernard Cornwell for the first time just yesterday. I'd love to read his work. Books? Are you kidding me? Of course I'll enter. I'm tossing my hat into this one... these books look fascinating and I know I can share them with my dad when I finish reading them! I'm all in. Bookworm in! That looks like fun. My name in, too! 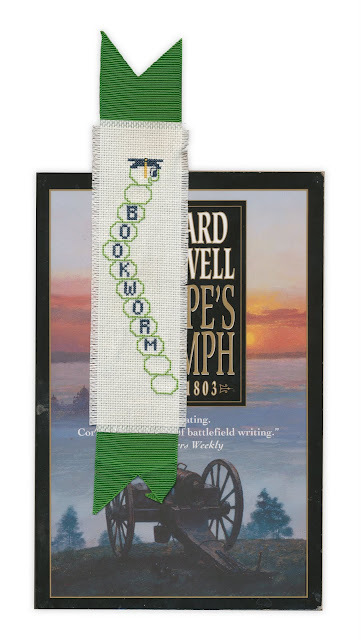 A bookworm that would like a "bookworm" and a few Cornwell books. Friends keep telling me that I would enjoy the Sharp's books, but I haven't gotten to them yet! This would be a great way to start. Yes please, I especially like the bookmark. I think the bookworm is the coolest!! Pick me! Pick Me!! Is it sad that I really want the bookmark? I'm not familiar with Cornwell, but that worm is adorable! 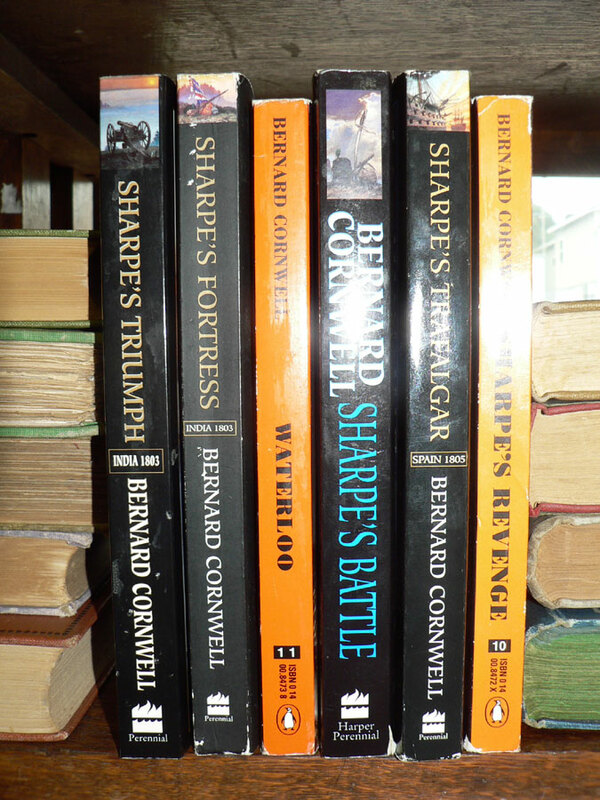 Sharpe Books? Count me in! Would LOVE to win today.